My name is Nair Alabachian. I have been working in the field as a family childcare (FCC) educator in Lynn, Mass., since 2006. The most important part of my job is helping children learn and develop mentally, emotionally, and socially. I support them by giving them a solid foundation. I’ve benefited so much from the courses I took at Merrimack College because I apply the knowledge I have learned. My curriculum, lessons, and instruction are more structured, grounded in theory, and relevant to my students’ lives. moments was when families would thank me for catching their son or daughter before they fell. Many times children in my program were behind with their learning, and I worked hard to bring them up to speed. 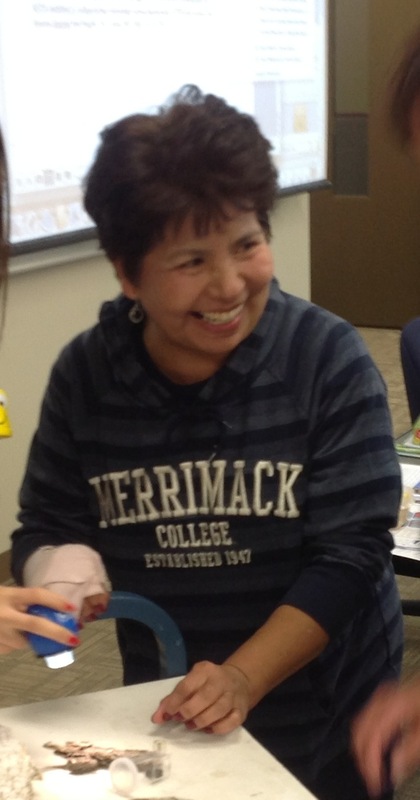 Every class that I took at Merrimack served to help inform my teaching and gave me insights into what was happening with my students’ learning as well as how to teach them in the most effective manner. I am indebted to all of the professors at Merrimack College for what they have taught me, but I want to make a special mention of the STEAM (Science Technology Engineering Arts and Math) professors, Anne Gatling and Patricia Howson, for all of their passionate teaching. They were an inspiration for me and I want to be an inspiration for my students too. I want to give credit to all of the family childcare educators. So many times people have an erroneously low opinion of the hard work that we do. Being a family childcare educator myself, I want to be a public voice and make it known that what we do every day is the farthest thing from being a babysitter. As educators, we wear many hats such as administering the program, cooking well-balanced meals, providing physical education, and teaching a well-designed curriculum that meets all of the needs of every child. I want to thank the Massachusetts Department of Early Education and Care and the Region 3 Educator and Provider Support Grant program (R3P) for providing grants to educators because this empowers us to grow professionally and better serve children and families. Policymakers need to make sure that the availability of QRIS (Quality Improvement) grants is expanded so that grant application forms are written in all languages to ensure accessibility to all non-native speaking educators so that all children will benefit from it. My name is Erika Stephenson. 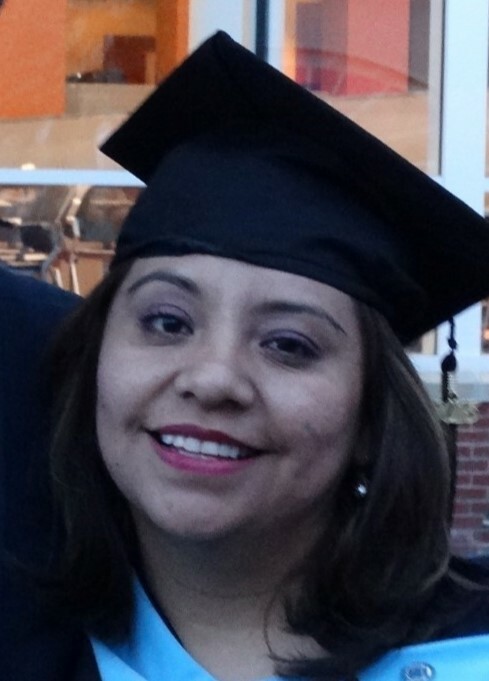 I am a family childcare (FCC) educator in Lynn, Mass. I have been working in the field since 2007. I first began working as an assistant, and in 2012 I opened my own family childcare. All of the children whom I care for receive vouchers from the government because they come from low-income families that are very loving and hard working. But because of their circumstances these families do not have the same support that more wealthy families have. As a result of this reality, their children are more at risk for failing academically and economically. My job is very important for these children and families because I believe that they deserve the same opportunities as wealthy families. I am there for them every day as a stable support. I work hard to educate myself and always further develop my childcare program. I am proud of the accomplishments I have made over the years: completing my Childhood Development Accreditation, moving from level 1 to level 2 on the QRIS (Quality Rating and Improvement System) for an FCC system, and for receiving the QRIS Program Quality Improvement Grant for the third year in a row. I am so grateful for these grants. They have allowed me to improve my daycare. I am especially grateful for the R3P grant, which gave me the opportunity to reach my dream of receiving a master’s degree in Curriculum and Instruction from Merrimack College. I am so thankful to Kathy Gallo, coordinator of the R3P grant, because she opened the door for me and so many other educators, changing our lives as professionals and immeasurably impacting children’s and families’ lives. Graduating from Merrimack College is a great gift in my life because all of the knowledge I’ve gained has made me a more effective teacher. Among the things I’ve learned are: understanding child development; aligning instruction to state learning standards; mastering subject matter (language, math, social studies/geography/history, and STEAM); creating well designed curriculums, instruction and assessment; respecting diversity; knowing and following special education procedures; managing a classroom; and connecting with families and communities. I am so grateful to all of my professors at Merrimack College for shaping me into a highly skilled educator. 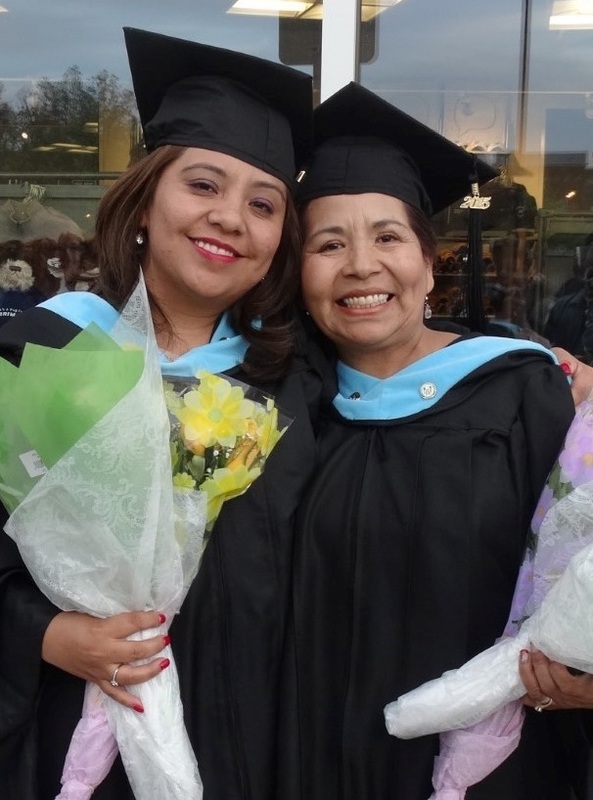 Being a Bolivian woman whose second language is English, it was a real challenge to go back to school, but I did it with the best classmate ever: my mom. And I am sure that all providers can do it with a lot of effort. I will never forget marching together with my mother into the auditorium at the graduation ceremony with the music playing. All of the professors stopped to applaud their students. This inspired me and made me reflect on why I am an educator. All of our hard work is to see our students return one day as successful and triumphant. If I had the ear of policymakers who had the power to give more funding to early education, I would tell them that what we as educators do every day for young children is priceless. We give children a solid academic, socio-emotional, healthy foundation to build off of and succeed. Policymakers need to create more programs for educators not only for native speakers but also for those who speak English as their second language so they can take classes and get the training they need to provide children with the education they deserve.